The market is reacting to the jobs report with a measured rally that sees every single S&P sector higher. Energy is the biggest winner by far, led by Anadarko Petroleum (APC), which is bouncing off a perfect double bottom. West Texas Intermediate is breaking out through a significant pivot point that has the potential to be monumental, as there could be clear sailing to $75.00 a barrel. 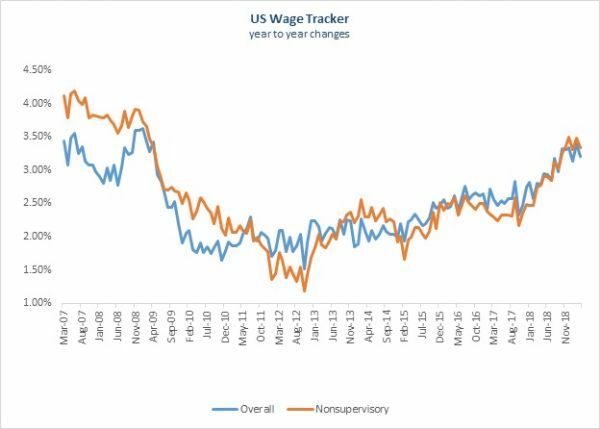 My favorite part of the jobs report today is nonsupervisory works saw wages gains faster than overall wages, climbing more than 3.0% for the eighth consecutive month. Overall, wages have grown 3.0% year over year for six straight months. Despite the great news, the market is stretched, which shouldn’t be confused with overbought, but it’s due for a breather.